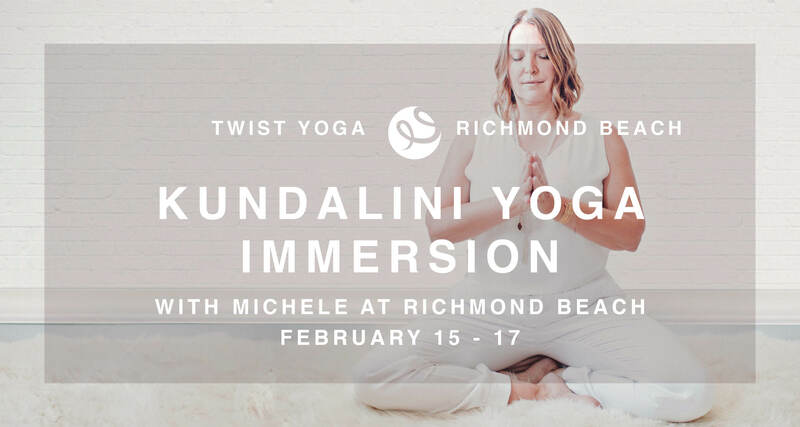 Learn the basics of Kundalini Yoga in this 20 hour, Yoga Alliance CEU immersion. Led by veteran teacher trainer Michele Hausman, this course is designed for both students and teaching professionals looking to deepen their practice and learn foundational techniques of this style of yoga. Kundalini Yoga, also known as the Yoga of Awareness, is a spiritual and physical practice that includes movement, breathing techniques, meditation, and mantra; all designed to raise consciousness. Non-teachers and curious minds alike may enjoy this training as an avenue to deepen their own practice. This course is also perfect for yoga teachers wishing to immerse themselves in the method and add the basics of kundalini to their teaching toolbox without the out-of-reach financial and time investment of a standard 240 hour Level I Kundalini training. In this course, we’ll learn about the times we live in, the history of Kundalini yoga, and the philosophy of the method. Through experiental practices, you will experience the elements of a Kundalini class, including kriya, mantra and pranayama and meditation. With a greater understanding of kundalini yoga, your meditation practice will never be the same. Kundalini yoga is experiencing a meteoric rise in popularity and is the fastest growing style of yoga on the globe. While modern day yoga classes are focused on deeper backbends, more flexibility and often, the “yoga body”, many practitioners instead are seeking a stable mind, less reactivity to stress and greater vitality. Kundalini yoga provides simple techniques to strengthen the nervous system, rewrite emotional patterning and and increase well-being. In this training, we’ll learn about the times we live in, the history of Kundalini yoga, and the philosophy of the method. Through experiental practices, you will experience the elements of a Kundalini class, including kriya, mantra and pranayama and meditation. With a greater understanding of kundalini yoga, your meditation practice will never been the same. Sunday: 430am (yes, you read that right) – 1pm. Tuition: $325 if registered by September 26. $385 after.